Huawei Boldly Enters The US Market With Its Flagship Phone, The Nexus 6P | OhGizmo! By David Ponce on 11/29/15 • Leave a comment! This post brought to you by Huawei. The content and opinions expressed below are that of OhGizmo!. Hey guys, have you heard about Huawei? For those of you who haven’t already, they’re a leader in mobile technology based in China, and have just entered the US market this past September; they’ve been taking it by storm! They firmly believe that by giving you the ability to purchase beautiful, premium, and high performance smartphones without the need for a contract, they can help redefine the smartphone buying experience. How did they come to this conclusion you might ask? Well, in the last three years, Huawei listened carefully to people and their needs. What they found was that people want solid features, reasonable pricing, no contracts, premium products, and rock solid customer service. Sounds pretty reasonable if you ask me, and Huawei promises to deliver on all fronts. $1000! 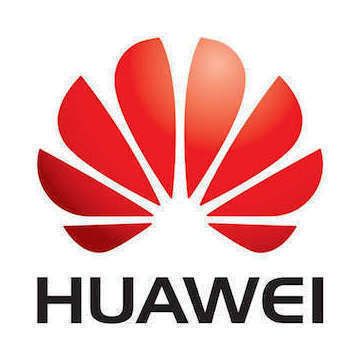 This has kept us from experiencing true mobile freedom that Huawei is now offering through their current and future commitment to the US market, and their aspirations to become a leading unlocked wireless solutions alternative. In order to achieve this, they’re starting their US inroads with their flagship smartphone, the Nexus 6P (which was developed alongside Google). It was just launched in September 2015 and looks phenomenal on paper and in person. Just to give you an idea of how impressive this phone is, let’s take a quick look at the spec sheet: it sports a CNC machined aeronautical grade aluminum back, a 5.7” AMOLED display with a mind blowing 518ppi, 3GB of RAM, a 12.3 megapixel rear facing camera and an 8 megapixel front facing camera, a fingerprint scanner, USB Type-C port, dual front facing speakers, all while running the latest version of Android, Marshmallow. With those specs in mind, how much do you think the Nexus 6P would cost? $700? $800? Try $499! Clearly, Huawei is serious in delivering incredible phones for incredible prices. I, for one, cannot wait to get my hands on the 6P. Head over to http://www.gethuawei.com/ to check out this phone and other cool gadgets from Huawei, like their latest smartwatch which is already being hailed as one of the best Android Wear devices on the market.